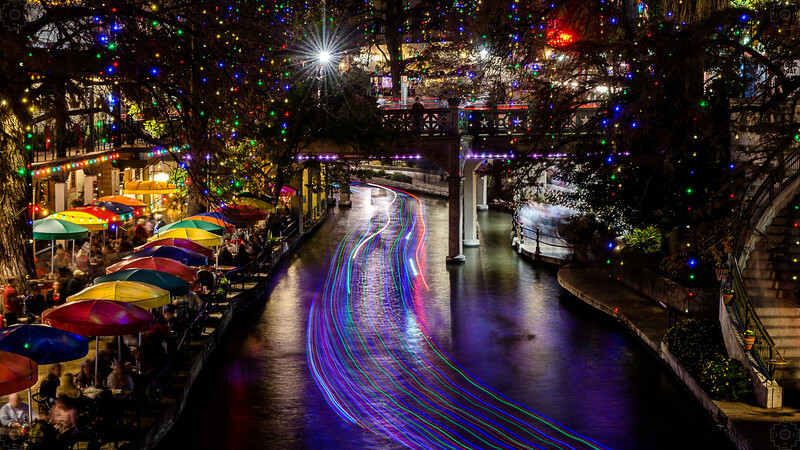 In San Antonio, Texas, the River Walk is a local attraction. This is a somewhat iconic shot with the colorful umbrellas of the Casa Rio restaurant (the oldest on the river walk) on the left side. The trees are hung with holiday lights and the streaking patters are from a passing boat.